is a leading manufacture in the segment of professional cosmetic products and treatments with focus on the beauty of eyelashes. Their brand, JB Lashes, have become known to be the pioneers is the eyelash extension industry. JB Lashes was the first exporter to introduce eyelash extensions in America and have trained and provided private label products to many now, well-known eyelash extension companies. Thousands trust and choose JB Lashes as their main eyelash extension company to receive training and products because of their extensive experience, knowledge, and superior quality products. takes crystal one step closer to the diamond. Experience a new level of brilliance scientifically proven. The exceptional sparkle and light refraction can be demonstrated scientifically, but is also evident to the naked eye. is the worlds best pedicure file! Does not cut or grate the skin, contains no cutting edge or sharp edges, are etched out of a single piece of surgical grade stainless steel. Making this technology fast, safe, and easy to preform greater then 1200 pedicures. Extremely long lasting an innovative design. Can be used wet or dry, does not rust, can be sterilized using chemical agents or an autoclave. Preferred by professionals! has been servicing the world of beauty professionals for over 20 years. Exclusively importing spa and salon furniture, accessories, equipment and supplies. Golden Devon is committed to providing the finest products, service and solutions to help you excel in the beauty industry. has been formulating one of the finest, natural, environmentally-conscious product lines available on the market today since 1990. Offering your salon / spa its exclusive up-scale line of Aromatic skin care, mineral make-up, and bath and body products. Keyano Aromatics products are designed firstly to preform, secondly, to awaken the senses, and thirdly to stimulate even the most discerning eye. are the specialists in breathable foam creams. They have made a name for themselves in recent years in the skin care and podiatry market. With over 20 years of proven results Allpresan Pro foot care has expanded to include solutions for every skin and foot care need. Leading experts in Dermatology, Diabetology and Podiatry are consulted in the development of all new product introductions for their clinical input and to oversee field studies with their patients. In addition they actively involve their customers in product development so that they can practically implement the latest scientific findings in needs-based products. Allpresan Pro foot care's focus is on foam creams and their innovative route of administration for the care and treatment of medical and cosmetic foot conditions. is the number 1 in professional wax systems available in 97 countries worldwide. Offering top class cosmetic products, Depileve's belief is that a professional wax system must offer top class cosmetic products as well as the most comprehensive choice of quality waxes to provide the best possible hair removal treatment to you. Depileve offers homecare products that give you peace of mind that comes with choosing the number 1 wax brand, maximizing the comfort and effectiveness of each treatment, with specific homecare products to enhance the results of each professional wax session. Working with Depileve is synonymous with prestige, success and quality. 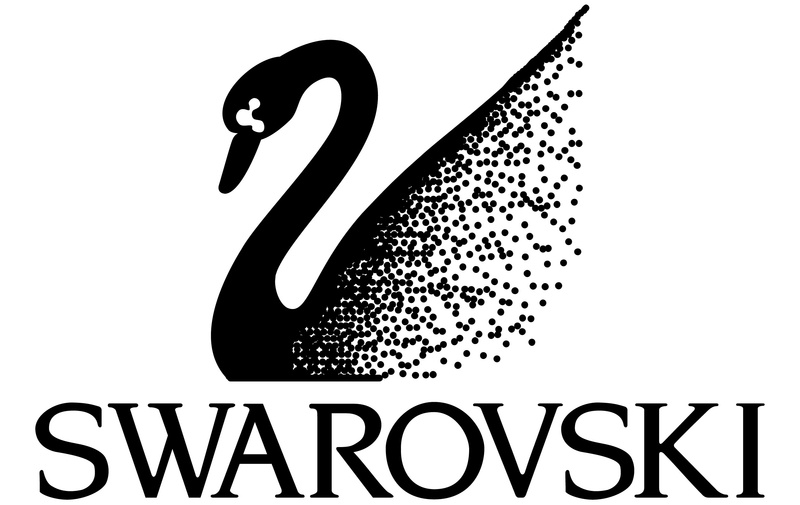 A symbol of distinction known and requested by more clients. They know that with Depileve's waxes, cosmetic products and even its working methods they will enjoy treatments adapted to all hair and skin types. adhesives and mink lashes are top performance, long holding and offer the fastest application. Lashforever's custom blend of silk and mink lashes made exclusively for Lashforever Canada paired with their medical grade A adhesive and curls guarantee long lasting hold and quality you wont find elsewhere. The Lashforever line consist of the worlds best eyelash extensions, providing the most variety of mink eyelash trays and individual eyelashes for volume and classic eyelash application. is a nail imprinting technique that allows you to put designs by stamping pre-designed images onto nails in minutes. You can achieve the most delicate designs with Konad nail art stamping. light cured products do not use solvents or acids. LCN will not compromise the health of the natural nails. LCN offers a healthier choice for the nail technician and their clients without sacrificing results or performance. Continued research and development and product improvements ensure the highest level of biocompatibility and lowest heat build-up during the curing process. LCN light cured products are highly durable, flexible and mimic the properties of natural nails. Do not yellow under UV or sunlight. has been producing the highest quality state of the art instruments since 1978. MBI strives for excellence in production, delivery, and service of their products. They are dedicated to the production of the highest quality individually handcrafted instruments in the industry. MBI products are renowned over the world for uncompromising quality of precision, durability and reliability. All MBI instruments are guaranteed for life against manufacturing defects provided that the instrument is used for its intended purpose. developed a line of electric manicure and pedicure files for use in the professional beauty industry in 1995. They now offer more than 12 different styles of electric, rechargeable, and battery powered filing systems. Medicool offers the largest selection of drill bits and additional accessories to meet the needs of nail technicians worldwide. is a life-like hand on a flexible arm with jointed fingers, flesh-like finger tips, and replaceable exercise nails. It is widely used in training classes and schools around the world. Unlike live models, it's enjoyable to work on, is always available, never complains, and you'll never hurt it during a training session. You simply attach The Nail Trainer to a table and practice creating nails again and again until they are perfect. There's no better way to learn new skills and improve your technique and speed then practicing with The Nail Trainer. are an additional step in the pedicure process that provide solutions to everyday pedicure dilemma's such as dry skin, cold feet, polish perfection, and happy health feet. Original Pedi-Sox encourage services if cold.... keeping freshly pedicured feet comfy, cozy, and clean. Moisturizers absorb better for softer skin, and calluses, cracked or problem skin. Original Pedi-Sox will luxuriate and prolong the pleasure of the pedicure experience year round. They just make your pedicure better! cleaners and disinfectants are based on the patented Accelerated Hydrogen Peroxide (AHP) technology and were designed with four key pillars of strength in mind: cleaning, performance, germicidal efficiency, personal health and safety, and environmental sustainability. is a world leading brand that today is prominently represented in more then 50 countries. RefectoCil eyelash and eybrow tints have been proven and recognized due to millions of successful applications as the leading product for more then 60 years. develops products to fill a need that is lacking in the skin care industry: one of truth, honesty, and actual, quantifiable results. Serene Professional Skin Care aims to improve the quality of your skin and enhance your life through science using only the fines quality ingredients. Serene Professional Skin Care products contain an extremely high concentration of active ingredients, delivered with a minimum of base fillers to enhance you are getting exactly what your skin needs and nothing more. manufactures and distributes sugar paste, an all natural hair removal product. Originally developed by the Egyptians many centuries ago. 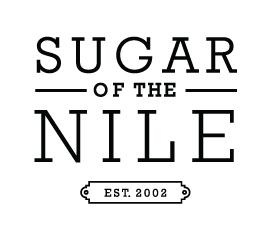 The name Sugar of the Nile is a direct reference to this history. The paste is created in an environment free from impurities blending together a recipe of all-natural ingredients. During a sugaring treatment, the hair is removed from the root and skin gently exfoliated, leaving the skin with a clean healthy glow. penetrating moist heat instantly provides therapeutic relief of pain due to arthritis, muscle stiffness, and injury. In addition to soothing relief nothing compares to the benefits of the power of paraffin's warming ability to intensely hydrate skin. You will be amazed at how Therabath paraffin will leave your clients skin feeling incredibly soft and health y looking. has been the only choice for source capture systems in the nail industry. A source capture system in the nail industry more commonly referred to as a nail dust collector. Both Valentino systems, the table top and the flush mount design utilize the same powerful fan required to collect nail dust and acrylic odor. is to provide beauty industry professionals with the best in Quality Brands as well as top Quality Service and Education. We understand how important quality products make to the salon service because we are beauty professionals ourselves. We test and use all the products we sell in order to have first hand experience with the performance, to ensure that we provide nothing but quality to all our valued customers. Copyright 2017 Light Works Esthetics Ltd.